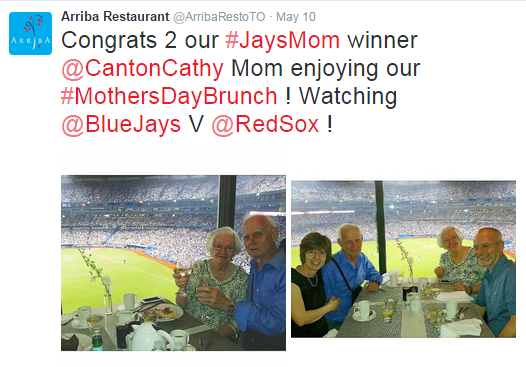 In May I entered the #JaysMom contest to win a VIP Mother's Day Brunch from Arriba Restaurant for my Mom. 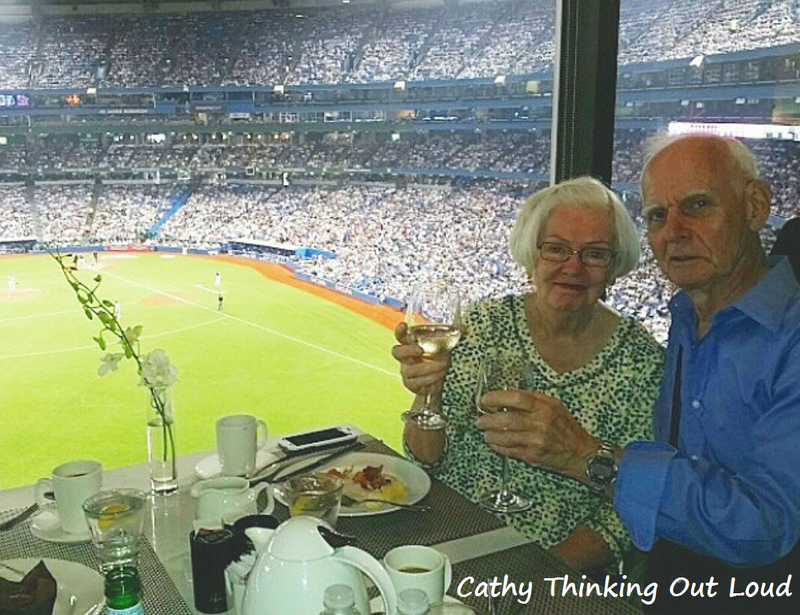 Baseball, the Blue Jays are intertwined with many of the memories I have of the important moms in my life: my mom, my grandmother, my sisters. I remember going and cashing in a stack of Canadian Tire money to buy my first adult sized leather glove, and using elastics and a softball to help break it in. I played softball growing up, and then as an adult with my Mom on a team where we worked. I remember no one throws a fast ball like my older sister. 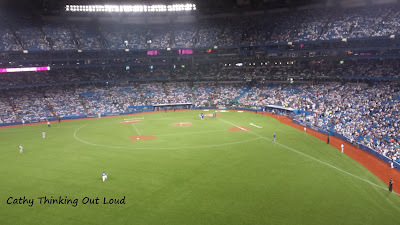 I went to many a Blue Jays game first at Exhibition Stadium and then at the SkyDome, and have fond memories of my mom and grandmother "discussing" Blue Jays games, in other words cheering loudly with lots arm waving during games on TV. They were fans, no doubt about that. 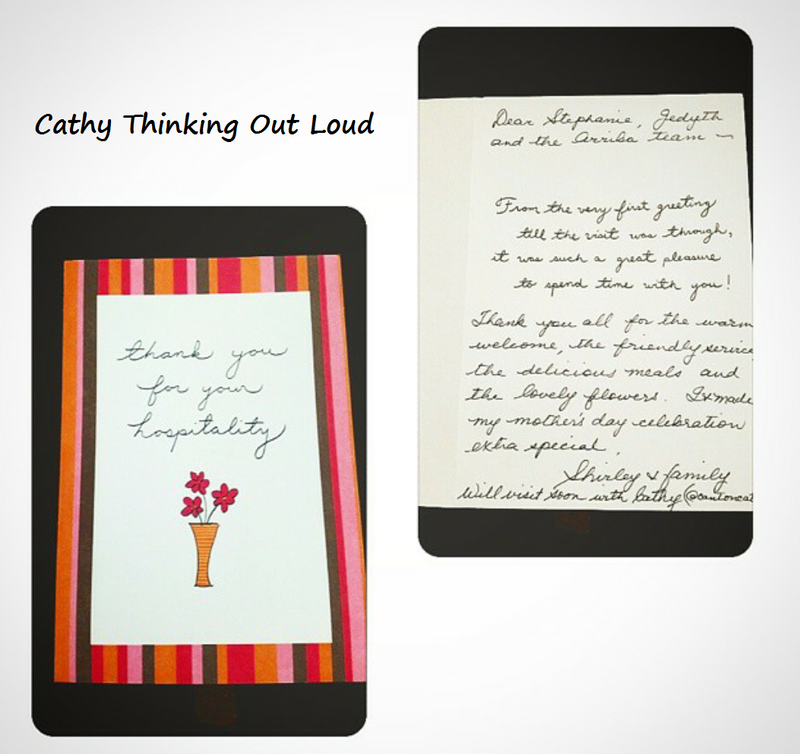 It just seemed like a perfect Mother's Day contest for me to enter. My Mom would indeed be the #JaysMom and accompanied by my Dad, my sister and brother-in-law would enjoy a VIP Brunch at Arriba Restaurant! 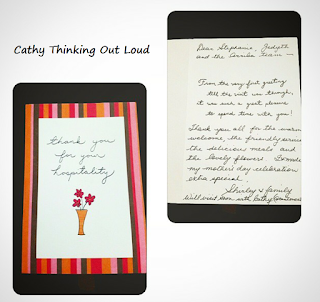 Including preferred seating, brunch, flowers, outstanding service, all while watching a game. What does all this have to do with baseball and the Blue Jays? Location, location, location of course AND the view! 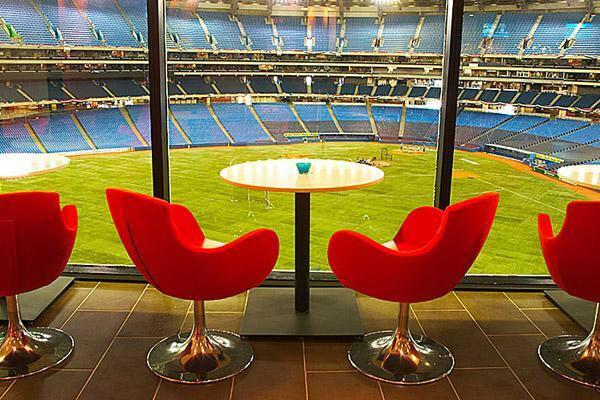 The Arriba Restaurant is located in the Renaissance Hotel Toronto and the view is of the Skydome baseball field where the Blue Jays play. 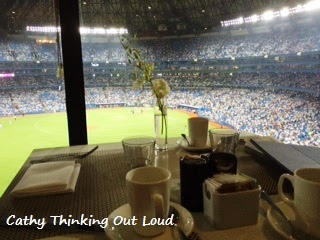 On Mother's Day the Blue Jays played the Red Sox, and though the Jays lost the brunch and whole Arriba experience was a win! Which got my sister, my Mom and I to thinking about other "excuses" to treat ourselves to a meal and game at Arriba and get that box seats feel without the box seats price. Image via Arriba Restaurant site. Mother's Day: An obvious choice. Father's Day: Another obvious but perfectly valid "excuse". Birthday Celebrations: Who won't want to celebrate one here. Kids visiting home from University or College: My sister has one at University and another heading there soon. I have two in the same boat. What a great way to spend some quality time with kids when they come home for a visit! Father-child bonding opportunity: Great way to spend quality time with your kids. Hint hint Dad! Mother-child bonding opportunity: Hint hint to you too Mom! Out with the guys: Food, a game and good company! Girls afternoon out: Perfect way to chill & hang out. Busy sibling catch-up get-together: I have three siblings and live out of town. It is rare to have a chance to chat without our kids unless it is actually planned. In my opinion this would be a wonderful afternoon. Teen cousins hangout fun: Besides my two teens, there are three other teens in my family. What a fun way to hangout and catch-up with their cousins when we are in town for a visit. Couple time: We all need time out without the kids. In fact why not make it an overnight with a stay at the Renaissance Hotel! That way you can both have a drink without worrying about a designated driver. FYI: Grandparents you are on babysitting duty. Family Road Trip Adventure: Add this to your list of must dos on your next visit to the GTA. This is especially fun during baseball session. Be sure to check out what summer deals and packages the Renaissance offers. Well that is our list so far. Whether you live in the GTA or you're just visiting the Arriba is unique and a fun change to your usual family meal destination. If you have any ideas to add to our list of "excuses" please share with me in the comments. I would love to hear them. You can follow Arriba Restaurant on twitter and the Renaissance Toronto on Twitter to find out more about upcoming events and updates. 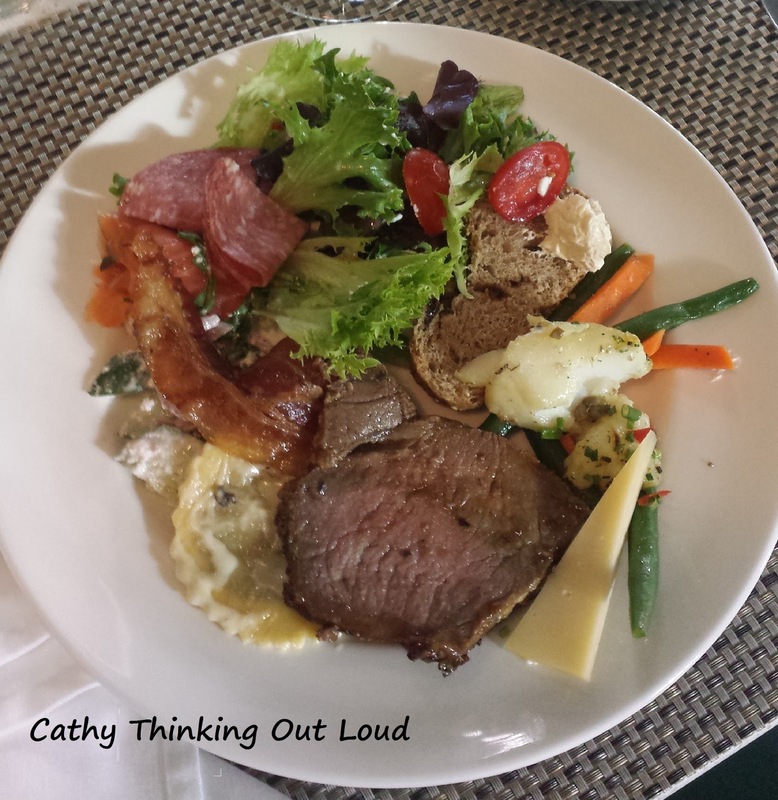 Yep, just me Cathy thinking out loud about fun ways to connect with family and friends. Note: I was not compensated for this post. 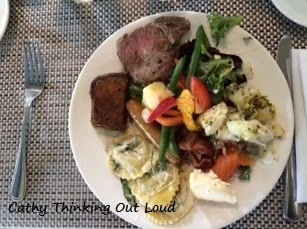 The purpose of the post was merely to share an experience I felt my readers would be interested in. All opinions are my own and reflect my personal experience. As you all know, "What's Good to Watch?" is a common question amongst my friends and family, and the reason why I share movie and show recommendations on Cathy Thinking Out Loud every Wednesday (aka #W2WW). This week's recommendations are The Fosters and Switched at Birth two series about family tweens and teens, which you can find on Netflix Canada. Although maybe not a true reflection of any teens I know including my two teen boys, I none the less really enjoyed both series.